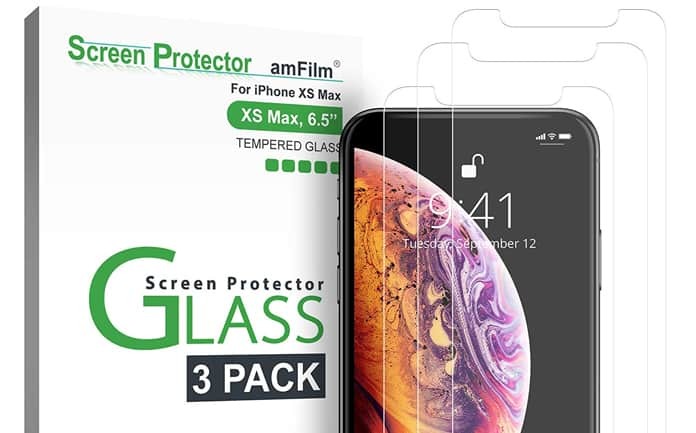 Bringing robust durability and industry leading HD clarity, this lineup for the top screen protectors for iPhone XS Max perform well in almost every department. Read on to choose on for yourself. Why Choose a Screen Protector for Your iPhone XS Max? The screen guard, if you’ve been living under a rock, is a smartphone’s first line of defense. 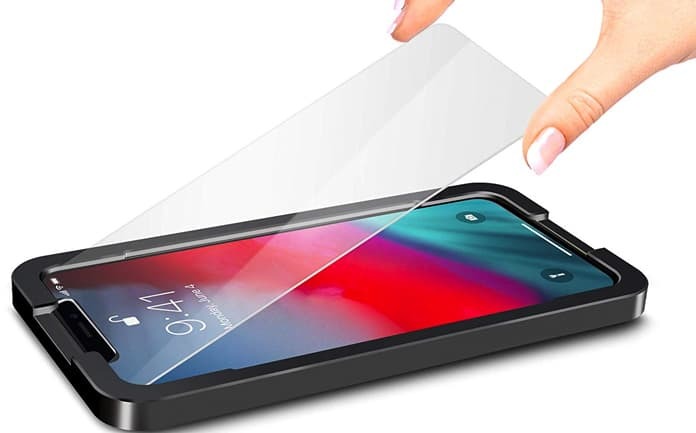 Its protector must be durable and strong enough to offer good protection to the display against drops, scrapes and shatter. 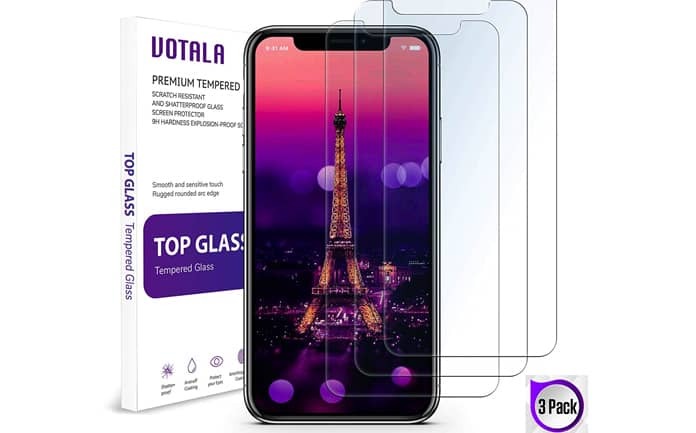 If you’re looking for a trusted shield for the touchscreen of your iPhone XS Max, why not explore the best tempered glass screen protectors? 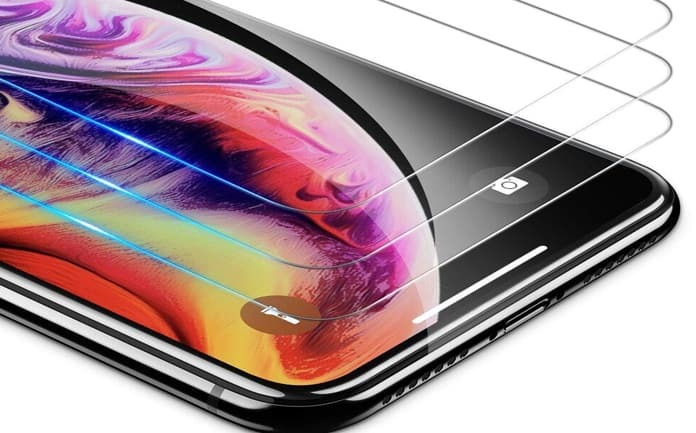 They can provide the most reliable defense to the iPhone XS’s Max’s touchscreen against the usual hazards. 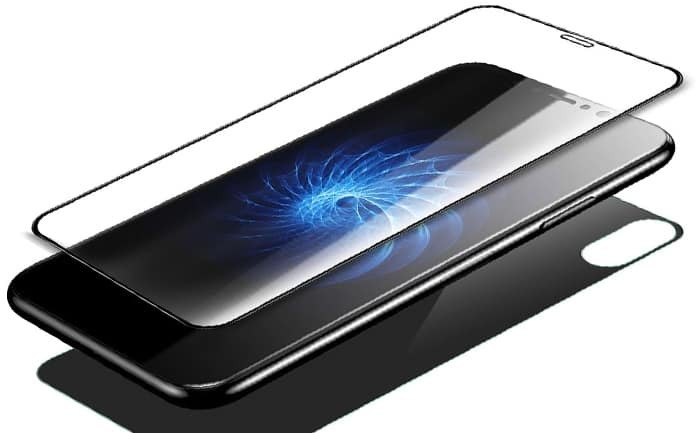 Basically, three unique qualities make tempered glass screen protectors different from others: high sensitivity, best in market hardness, and good clarity. Plus, most of such models are bubble-free in design. Below we look at the top options available for iPhone XS Max. This is one of the finest screen protectors out there for iPhone XS Max. But what makes it stand out? Well, one thing that users will surely like is its ability to offer edge-to-edge protection. There’s 9H hardness on the tempered glass, which means that scratches don’t stand a chance against the protector. Also, it boasts oleophobic coating, which enables the screen guard to prevent dust, sweat, and grime from piling up on the display. Because of all these features, amFilm is highly responsive to your touch for a lengthy period. What makes it stand out? Edge-to-edge protection. pehael has a design that’s 0.33 thick (slightly thicker) for additional protection against breaks and shatters. Hence, whatever device you put it on, it will make the screen quite resistant against scratches. Other noteworthy elements are the oleophobic and hydrophobic coating that prevent dust pileup. Also, the rounded edges allow users to fit the screen guard with ease. Also, with high clarity on board, users get the best view of the touchscreen. Besides all that, there are three pack options for pehael. 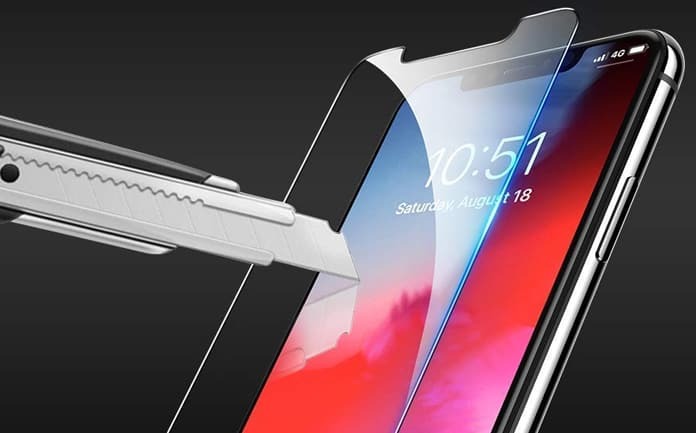 OMOTON is a brand that consistently produces elegant screen guards for handsets including iPhone XS Max. The OMOTON HD has all the qualities that should be present in a screen guard to be a trusted protector for the display. The glass boasts top-grade hardness to provide essential safety to the screen. And with precise cutouts, it can be installed on the display with ease. Also, it comes in bubble-free design, so installation should be a breeze. Another standout feature is the ability to avoid grime and fingerprints. Therefore, it will be high sensitive to the human touch. What makes it stand out? Fingerprint resistance. KuGi has all the qualities to be a long-lasting investment for iPhone owners. The thing that stands out the most in this screen protector is its bubble-free design that makes it easy to install. All cut-outs are on point, so they don’t interfere with any sensor or front camera. And when it comes to clarity, the KuGi offers the best viewing angle with HD transparency. Like other screen guards, KuGi also keeps smudges and sweat at a good distance. Therefore, buyers don’t have to worry about their 3D Touch being interfered with. What makes it stand out? Anti-shatter design. VOTALA is made to be shatterproof so that the iPhone’s screen remains guarded against all types of hazards and impacts. It has a laser cutout design that enables users to fit it on the screen with ease. Moreover, its oleophobic and hydrophobic layers reinforce the structure as well as keep fingerprints off. Therefore, the screen will continue offering high sensitivity. Additionally, it arrives in three packs, meaning users always have an additional screen guard in pocket. What makes it stand out? Shatterproof build. 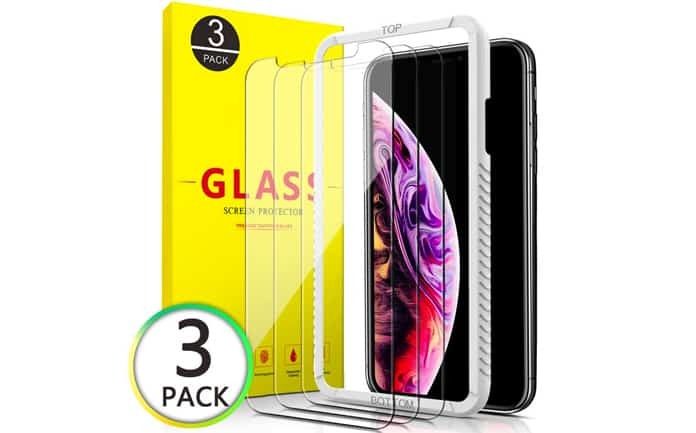 Aslanda is one of our top picks for iPhone XS Max screen protectors. Its curved edge display allows it to cover the full screen, making it a high-quality security guard for OLED screens. And because of the strong tempered glass, it offers high-grade clarity that results in a good viewing experience. Also, its 9H hardness reinforces structures to resist shatter and ward scratches off. Lastly, it does a good job of keeping fingerprints off, and comes in a triple pack. 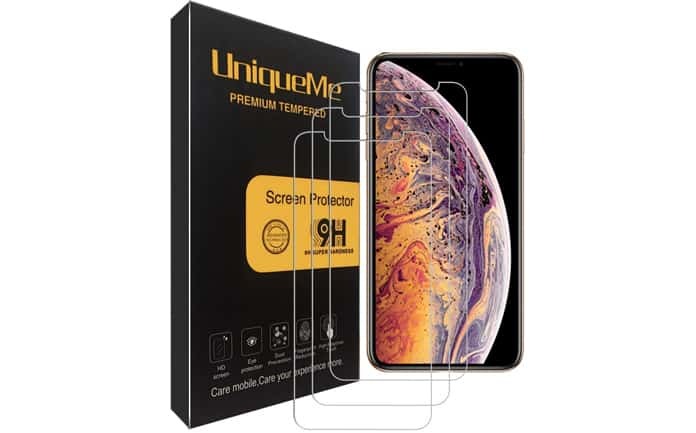 UniqueMe is one of the best iPhone XS Max protectors out there because it features a Japanese tempered glass that offers 99.99 percent transparency. Therefore, users get a much-improved view. And when it comes to protection, the brand is at par with market leading names. It offers top-of-the-line hardness, so it can battle scrapes with ease. Also, it comes with true-touch sensitivity, so it responds to all taps and touches of a user. Moreover, it’s available in three packs and comes with a lifetime warranty. What makes it stand out? Of course, the Japanese tempered glass. Coming in with a 0.3mm thick design, it’s one of the slimmest screen guards out there for iPhone XS Max. Despite the thin design, it has ample strength to protect the device against bumps and scratches. And besides offering good clarity, OULUOQI also provides good sensitivity. Its coating (oleophobic) allows it to resist dust, scratches and fingerprints. Also, its case-friendly design allows it to fit mst cases. What makes it stand out? The case-friendly fitting. 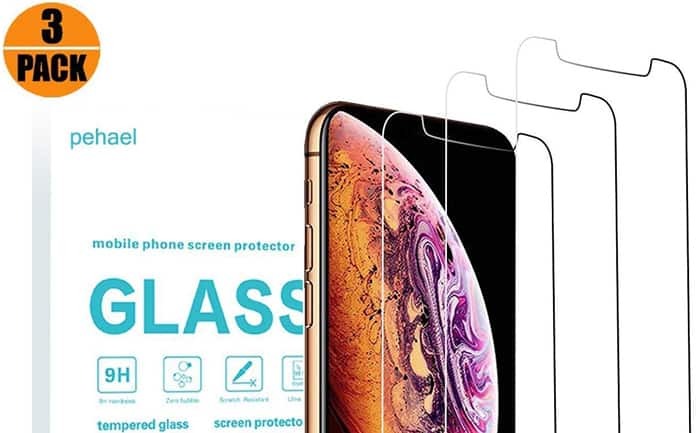 This is one of our favorite iPhone XS Max screen guard. 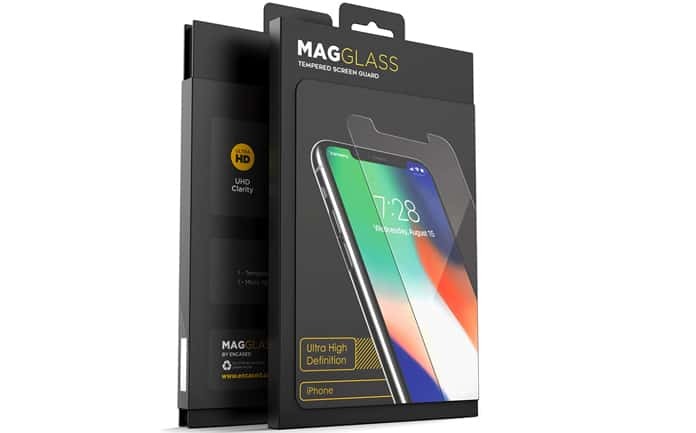 MagGlass is a case-friendly, UHD ultra clear, scratch resistant, bubble free, ultra thin (0.3mm), EXTREME SCRATCH PROTECTION & more. MagGlass is also recommended by the Amazon staff. What makes it stand out? Extreme scratch protection. iCarez makes one of the most reliable screen protectors for iPhones. When it comes down to its features, it has a 0.33mm thickness so it never lets any shatter break the display of the handset. Moreover, it has high-sensitivity, so it allows users to utilize the functionality of their device with the smoothness they prefer. And that’s it. Hope you enjoyed reading through the list. 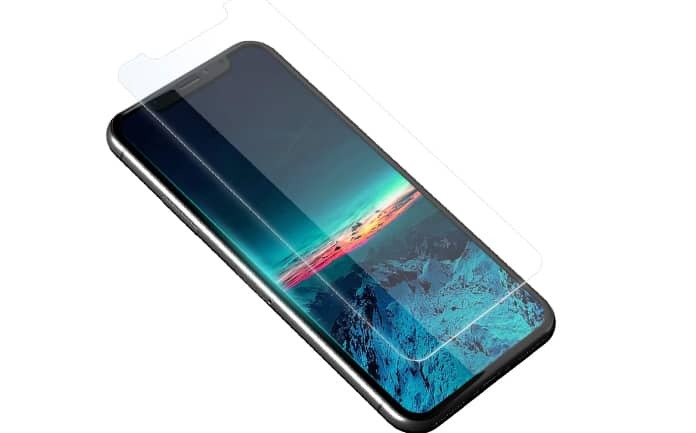 Do let us know what screen guards you liked for iPhone XS Max.